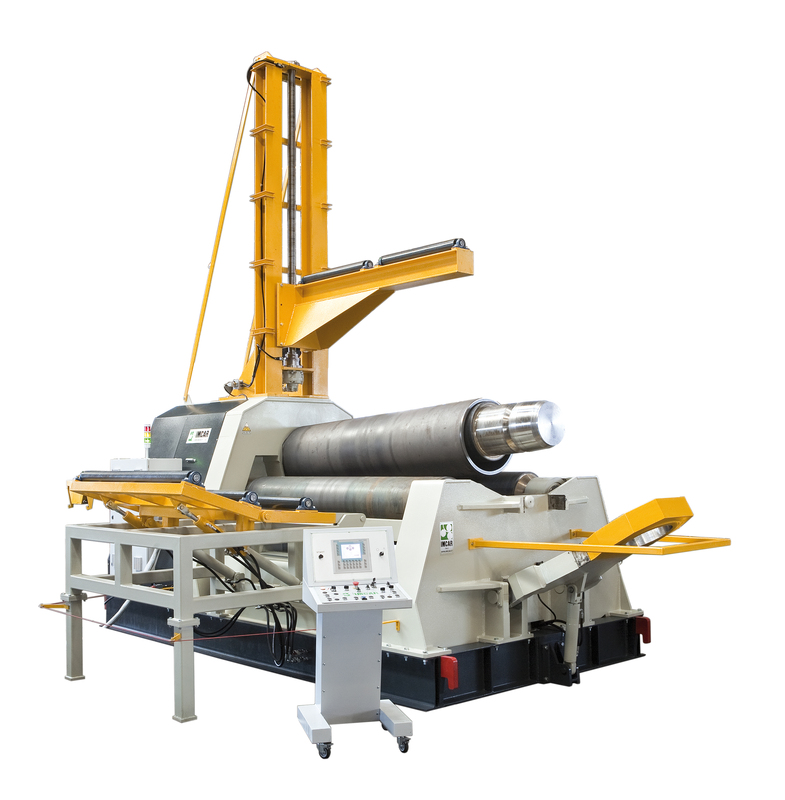 Project based on over 60 years’ experience in the production of plate bending machine. Structure and components designed to withstand heavy use over the long term with reduced maintenance. Structure of thick welded steel. Frame work with CNC machines. Basement and rods to impart rigidity to the machines. Care in selection of material. Electric components and easy electric scheme to reduce the maintenance. 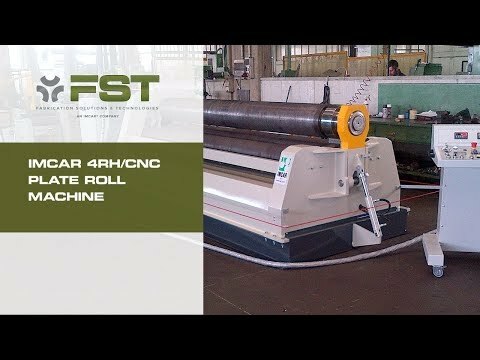 The machine is fully hydraulic. Size of hydraulic systems and components, including hydraulic pistons, higher than necessary to reduce the pressures of work and have a longer life. 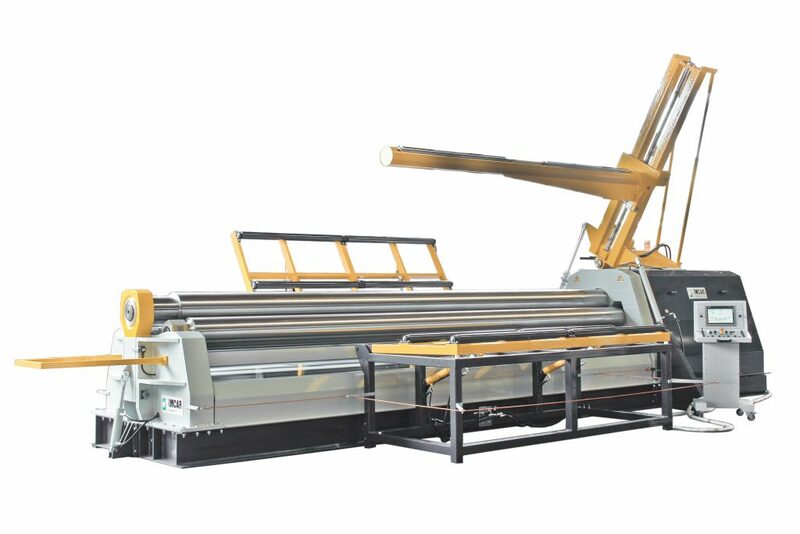 Linear movement of bending rolls with short inter-axes to minimize the flat part on pre-bending. Rolls supports linear guides in cast iron, with extra length to enhance lateral movement. Double hydraulic motors coupled to planetary gear for rotation of central rolls (upper roller motor with hydraulic unloading device to compensate for the speed). Large rolls shaft to assemble oversize capacity bearings and greater support for heavier loads. Rolls are assembled on double bearings to improve the tilting in case of cone bending. 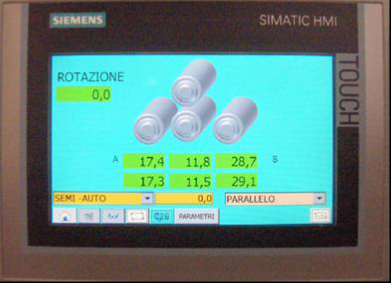 Complete machine control for automatic production. Rolls movements and rotation with deceleration ramps for accurate positioning of the axis and the repeatability. Movement of axis step by step. Easy use of NC Control in manual and automatic mode. Use in Manual mode with display positioning of rolls and rotation. Use in Semi-Automatic mode inserting every single axe movement and setting the NC move it till preselected position. Use in Self-learning: production of the work in manual mode than saving of steps and storing after work. Use in Automatic mode selecting the programs already stored or typing them directly on the panel, specifying the position of each axis. Internal memory up to 100 programs from 30 steps. Panel with a SD slot to expand memory and back-up programs.